Isn’t it a pain when a seagull sneakily steals a chip out of your hands! Not only are gulls dangerous when they dive, they end up pooing in the sea where we swim and paddle. When the Environment Agency measure the amount of bacteria in bathing waters to determine how clean they are, bird poo can be one source of bacteria. 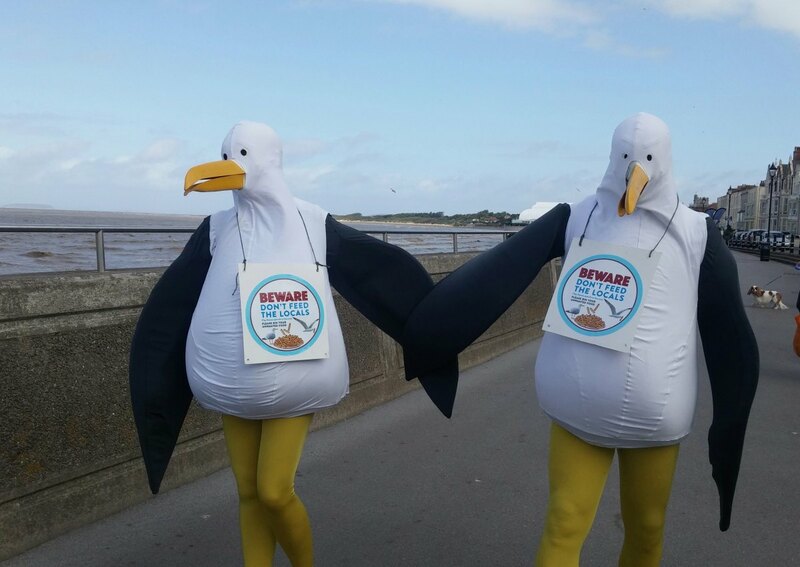 Over the summer holidays local take away outlets, cafes, pubs and caravan sites in Burnham-on-Sea joined forces as they stood up to seagulls and encouraged their customers to feed the bin and not the gulls. 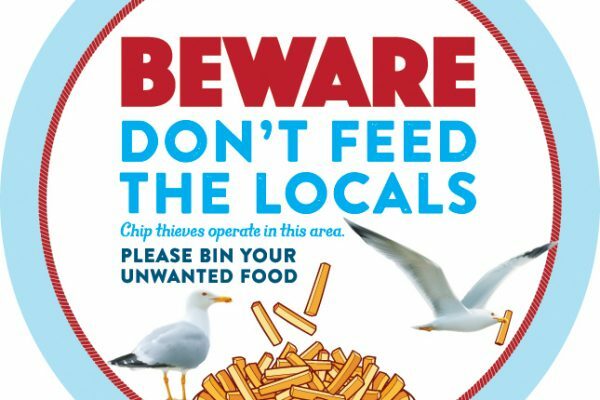 The food establishments and campsites put up eye catching, vibrant posters and stickers in their windows and on their fast food packaging all with the same message ‘Don’t feed the locals’. The posters explain why people shouldn’t feed them and how to avoid a gull attack. Beware… The message ‘Beware’ grabs people’s attention and alerts them that there are a high number of gulls in this area. Informing people about the reasons as to why they shouldn’t feed the gulls e.g. reduced bathing water quality, increasing numbers of breeding pairs etc. Educating people on how to avoid an ‘attack’ e.g. shield your food, eat with your back against a wall, bin unwanted food etc. 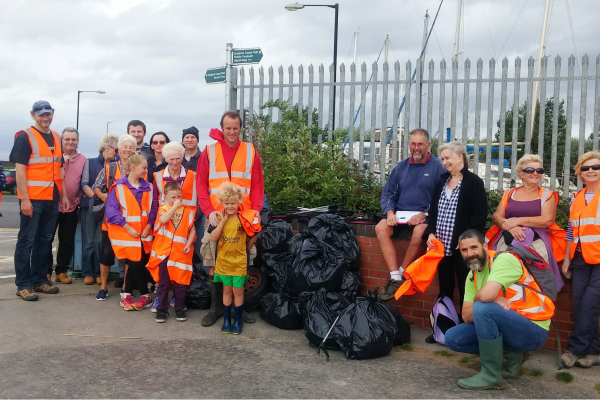 Friends of Burnham Beach is a group of dedicated volunteers who want to help keep their beaches clean for everyone to enjoy. We are able to support volunteers interested in doing regular beach cleans in their local community, providing training on how to run successful events, first aid, equipment and support to promote beach cleans. 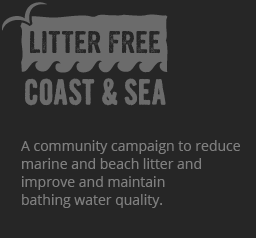 We are also able to support any beach clean volunteers with any projects or campaigns to help communities get involved more in the wider project. We have regular beach cleans run by the Friends of Burnham Beach so if you are interested in coming along please visit our events page or if you are interested in helping to run a beach clean in Burnham, Berrow or Brean please get in touch. For more information about beach cleans please CONTACT US. Who’s flushing what in Somerset? Do you have a spare 5 minutes? Please fill out our anonymous survey below on what Somerset residents are flushing down their toilet and how this affects the water quality of our town. 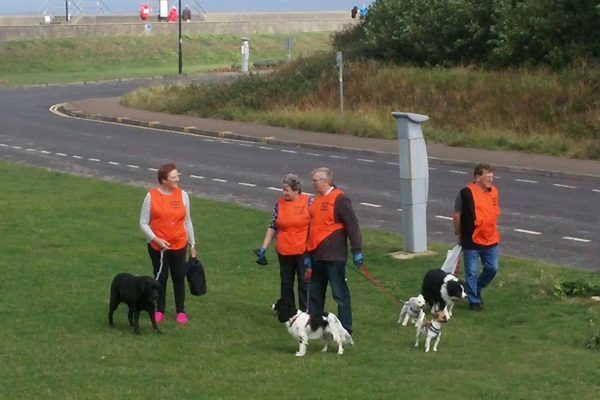 Litter Free Coast and Sea Somerset have been working with the Sedgemoor District Council to resolve dog fouling issues in key problem areas at Burnham on Sea beach and seafront. This resulted in the Burnham Pooper Trooper group (community dog fouling group). Got 2 minutes? The #2minutebeachclean is a growing campaign to reduce the amount of marine litter through encouraging everyone, everywhere to pick up litter a few bits at a time and share their finds on social media. We are working with Martin Dorey, founder of the #2minutebeachclean project to install several stations at beaches across the Dorset coast. Originally trialled in North Cornwall, the project has led to a reduction in beach and marine litter. Each board contains litter pickers and bags for everyone to use, pick up litter to take home, recycle or put in the nearest bin.